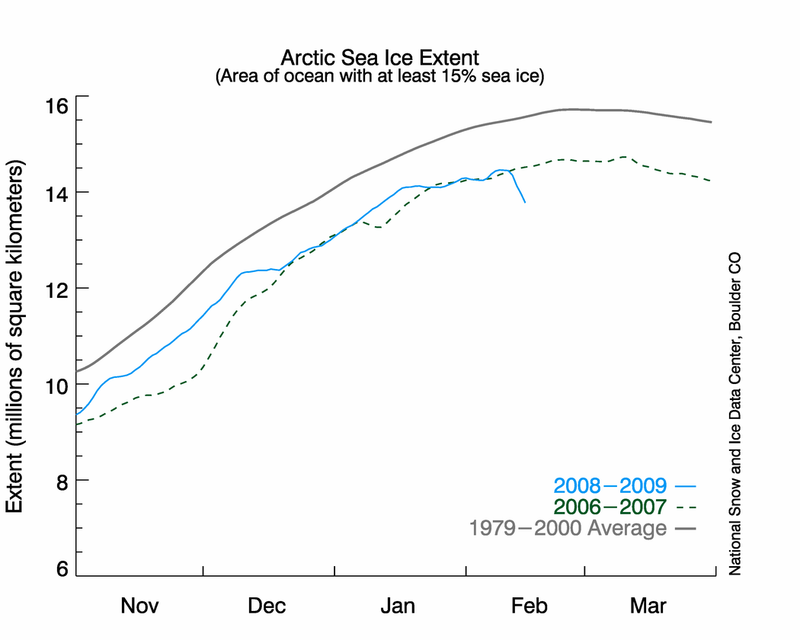 Posted by honestclimate in sea ice. Regular readers will recall that on Feb 16th I blogged about this graph of arctic sea ice posted on the National Snow and Ice Data Center sea ice news page. The downward jump in the blue line was abrupt and puzzling. Today NSIDC announced they had discovered the reason why. 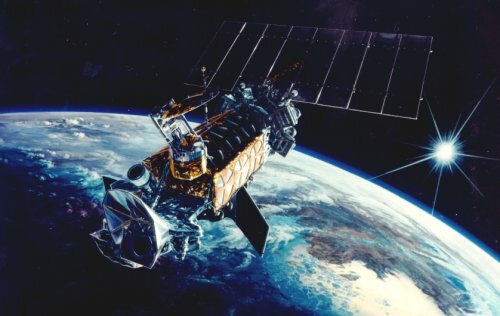 The sensor on the Defense Meteorological Satellite Program (DMSP) satellite they use had degraded and now apparently failed to the point of being unusable. Compounding the bad news they discovered it had been in slow decline for almost two months, which caused a bias in the arctic sea ice data that underestimated the total sea ice by 500,000 square kilometers. This will likely affect the January NSIDC sea ice totals.